Ron Grant is one of the finest playwrights of his generation, second only to Tennessee Williams in pure genius. But success does not mean he feels like a man. On vacation in Jamaica with his mistress, an ice queen who considers him her personal trophy, his thoughts are back in New York City, with a beautiful young girl he met a few days before he left town. As the stress bears down on him, the brilliant playwright goes nearly to pieces before he finds his salvation under water. On his first deep-sea dive, Grant falls in love with the haunting beauty of the reef. He returns as soon as he can, staying longer and swimming deeper until all his problems seep away. But a man can’t breathe underwater forever—and his obsession will drive him to take increasing risks that will change his life forever. 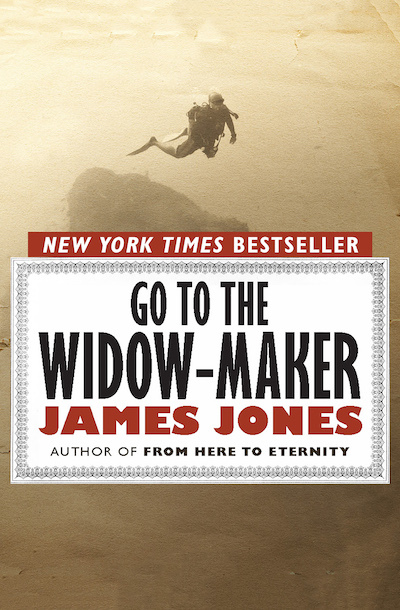 This ebook features an illustrated biography of James Jones including rare photos from the author’s estate.